Bungalow duplex with two bedrooms and a bathroom in Playa Baja. One bedroom is on the top floor. fully equipped American kitchen, living room and glazed terrace. Solarium with great views and very bright. Close to all services. Next to several of the best golf courses in the area. Furnished and ready to move into. 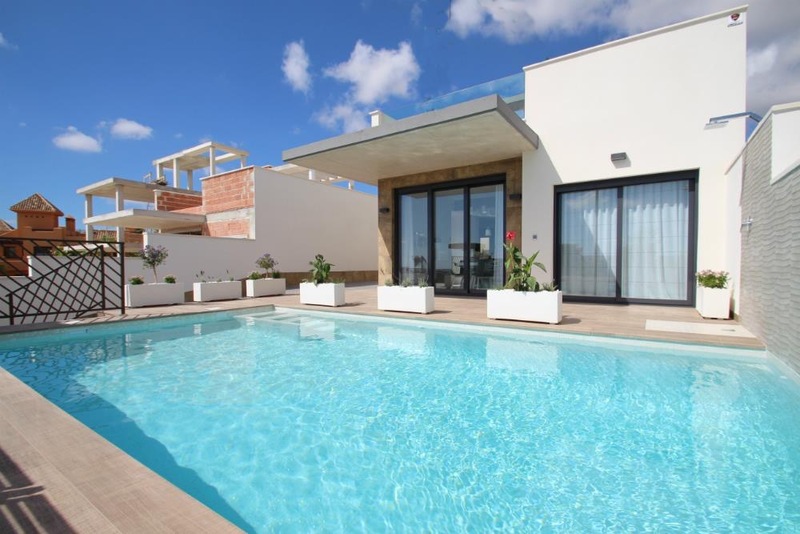 Modern and stylishly designed new detached villa with private swimming pool, located close to the popular town of San Miguel de Salinas. NEW BUILD VILLAS SAN MIGUEL – New Build Ultra Modern Design 2/3/4 bedroom, 2/3/4 bathroom Detached Villas with private swimming pool located in San Miguel de Salinas, Costa Blanca. New Build Villas San Miguel De Salinas – We are launching 5 brand New Villas in San Miguel de Salinas, Alicante, Costa Blanca.